Welcome to Downend SOUP. Innovative micro-funding for charities and groups in South Gloucestershire and neighbourhoods around Downend. Powered by Christ Church Downend, SOUP is a way that local commuity groups can raise seed-corn funding for their ideas and make communities north of Bristol, betterand fairer place to live. Downend SOUP owes its roots to the famous Detroit SOUP which started a movement of community fundraising that now exists in over 100 countries. Join us on this journey to make Downend and our surrounding neighbourhoods better and fairer. We make the little things happen. When you come to our SOUP event you make a donation on the door, enjoy some soup, delicious sourdough and cake and listen to three ideas to change our community for the better. Vote for your favourite and the winner takes home all the door money to kickstart their project. In October 2018 we embarked our newest project – to host the world’s first Junior SOUP and what a night we had listening to powerful projects covering homelessness, environmental issues and loneliness & social isolation with our youngest presenter being just six years old. 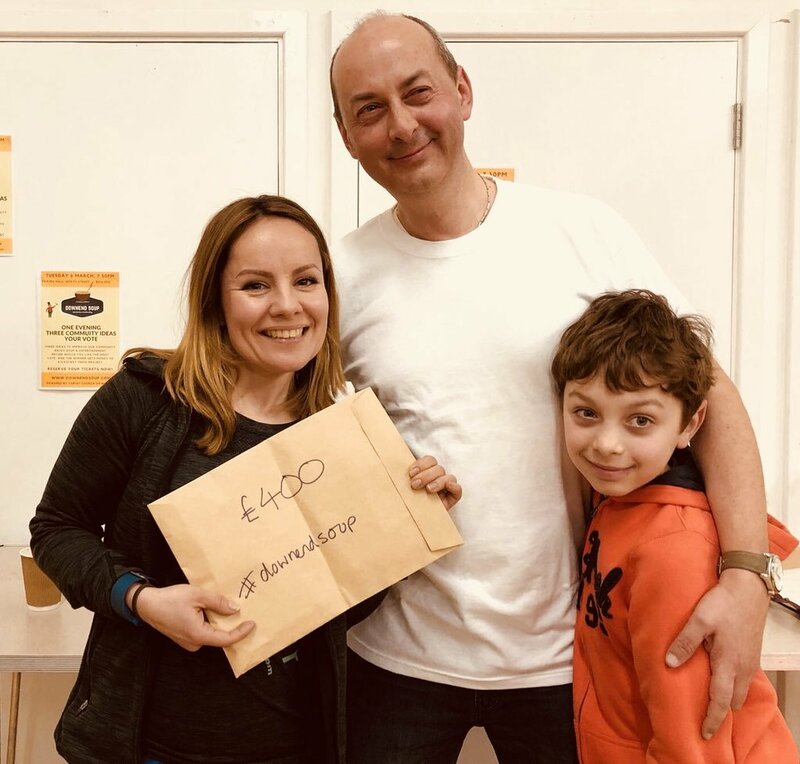 We’re back in March 2019 with Downend SOUP 5 – The SOUPERbowl where we’re upping the stakes again with two SOUPs in one night, our doors open at 6.30 as we revisit the projects started under Junior SOUP and we’ll bring you three more community ideas at 7.30pm for our regular Downend SOUP. You can come to one or both for the price of just one ticket. Over the course of our three events so far we’ve supported topics as diverse and vital to our community such as post natal depression, homelessness, diet and nutrition for underprivileged children and social isolation amongst our older community residents and a bit of bee-keeping to boot. Our volunteers are the heroes of SOUP – they work allotments, they chop, slice, dice and make our soup, sourdough bread, cakes and goodies. They sing, they man the doors and they do all the stuff like stacking chairs and tables. It’s a community effort but without any obligation, we’re just happy for an hour of someone’s time for just one event if that suits. Christ Church Downend Community for our venue, and for love, prayers & cake!